Editor's Note: This "21 Things" segment was originally published on DrydenWire.com on June 6, 2018, and is being re-published as Kim will be debating her opponent this Friday, October 26, 2018, Live on Facebook hosted by DrydenWire. The debate will begin at 9a (fb.com/drydenwire). 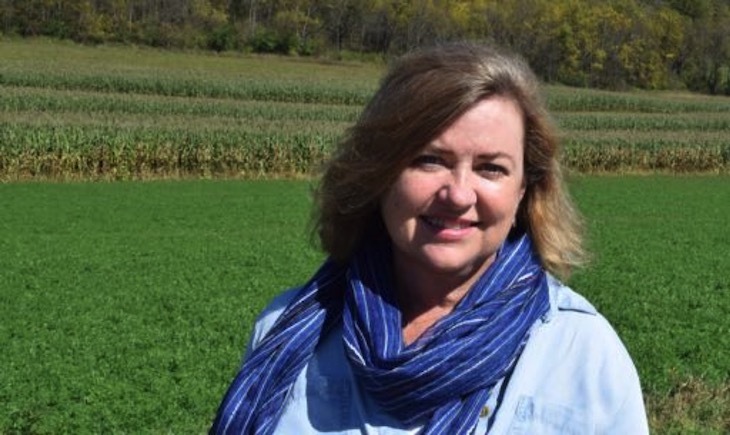 Kim McDonald Butler of Balsam Lake announced in January that she is running for office in Wisconsin's 28th Assembly, the seat vacated by Adam Jarchow. Kim serves as co-chair of the Polk County Democrats. She was TV producer in Minneapolis, writer, volunteer, coach, yoga teacher. She and her husband, David, are parents of two high school students. 1. I was the biggest baby born in the Bethesda Naval Hospital until a boy was born the next day. My dad was serving in the Marines at the time. 2. I went to seven different schools between kindergarten and graduation from high school. I hoped my own kids would attend Unity from K through 12, but they both wanted to open enroll at St. Croix Falls as they got older. 3. I won the prize for “Most Diligent” in 9th grade, the year I attended an all-girls’ Catholic school in Chicago. We had to wear a black watch plaid skirt. I graduated from a high school in Oklahoma City. 4. I was a Candy Striper in high school at the local hospital. We were young volunteers in striped uniforms. I spent most of my time helping patients order meals. 5. I earned a B.A. in English from Grinnell College in Iowa, where my step-dad also attended. Both my kids have to apply there, but they don’t have to attend. I am the alumni representative for my graduating class and plan reunions and write a class newsletter. 6. I met my husband at work. I was a producer at Twin Cities Public Television and he was a videographer. I thought he was really nice. I still think that, and this summer we celebrate 20 years of marriage. 7. I have lived longer in Balsam Lake than anywhere else in my life. We moved here in 2001. My mom moved here from New York about four years later. 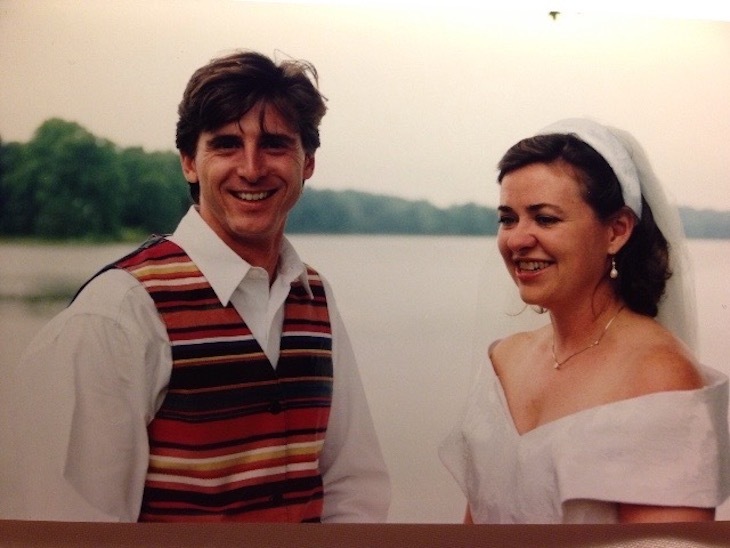 My first visit to Half Moon Lake was in 1995, the year I met my husband. His mom’s family has been coming to the lake since the 1930s. 8. I was married at the old Paradise Restaurant. We’d hoped to be married outside, and rented tents and tables and chairs, but it downpoured almost all day long. We had a nice ceremony in the restaurant, and our reception in the bar. They say rain on your wedding day is good luck. I think I’d agree. 9. I have two teenagers. My son just graduated SCF High School last friday, but he has been at UW La Crosse all year as part of the Youth Options program. My daughter just finished her junior year, and she has been away since January at Conserve School in Land O Lakes, WI. She loved her time at this environmental semester school. I wish my nest hadn’t emptied out so early, but I want my kids to follow their dreams. 10. My favorite flowers are Siberian irises and peonies. One year I produced a gardening show, which was a lot of fun because I got to shoot in Taylors Falls, Napa Valley, CA, and Kansas. 11. I played on the first women’s soccer team at my college, back when it was still a club sport. When my kids were little, I taught myself how to coach from a book because our program needed volunteers. I then ran the program for six years. I am also a certified AYSO Referee, but I rarely ref games. 13. I am a 12-year cancer survivor. I had stage 3C Breast Cancer the year my daughter started kindergarten and my son was in first grade. I took every treatment they offered, determined that my kids would grow up with a mother. So far so good! 14. I used to win the weekly football pool in my office. It drove the guys crazy because they knew I didn’t even watch the games. I wasn’t superstitious about betting against the Vikings, which played a part in my success. 15. My parents moved to Green Bay went I started college. I was a news intern for WFRV TV, and worked for The City Directory as a door-to-door canvasser. My first jobs, besides babysitting, were working in an ice cream store, and in one of the first frozen yogurt stores. I also waitressed after college and as a second job when I was saving up to buy my first house. After college, I was a television writer and producer for almost two decades. I once thought about becoming a lawyer, and went so far as to take the Law School Admission Test (LSAT). I did well, but was offered a job at Channel 2 and took that instead. 16. Both our cats, Jack and Muffin, came from the Arnell Humane Society. 17. I worked with guys who created the old cult tv show “Mystery Science Theater 3000” and appeared in the Channel 23 New Years Eve specials where we dropped a watermelon off the roof at midnight. 18. My husband and I own the small business “Greatmats” in Milltown, which he started in our basement almost 20 years ago. 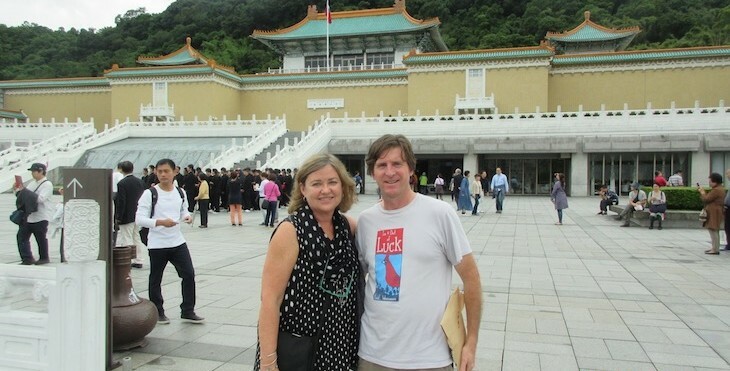 We have traveled to China and Taiwan multiple times to visit mat and tile factories. At business dinners and lunches there, I have had the opportunity to eat stinky tofu and shark cartilage soup. 19. I am a part-time yoga teacher through Unity Community Education. I was on the Community Ed board and knew people wanted yoga. I wanted an ongoing class that went year-round, and to make yoga affordable here. Once I agreed to teach, I started teacher training, and am about half way through my 200-hour Registered Yoga Teacher training. I have about 8-10 regular students and in the summer we meet in the park. It keeps us limber and strong. 20. I loved the variety in my job as a TV producer. Some of my adventures included being buried in a snow cave on a mountain in Switzerland; being found by avalanche rescue dogs; visiting a river with over a 1,000 flamingos; working with professional wrestlers; and hanging out backstage at a KDWB Star Party. 21. My freshman year of college, I lived across the hall from the head of the College Republicans. Four of us on the floor used to stay up way too late playing Spades (a card game like Hearts) and discussing politics. Despite our political differences, he and I were friends and respected each other’s opinions. I taught him how to sew buttons back on his shirts, and he got me flowers after Finals that year. Even though I am a lifelong Democrat, I voted for Republican Arne Carlson in the MN Governor’s race.